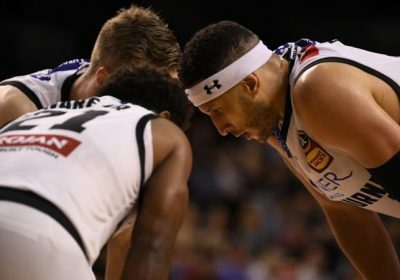 Melbourne United coach Dean Vickerman has criticised his team’s mental approach and their lack of bench form after a stinging loss in Wollongong on Thursday night. The defending NBL champions went down 87-81 to Illawarra Hawks as they continue the toughest stretch of their season with another four games in the next 14 days. Vickerman said a slow start cost Melbourne dearly as former Melbourne player David Andersen went off for 18 points in as many minutes. While Vickerman was clearly frustrated with some of the foul calls his side received, he was more disappointed in his side’s lack of urgency as the Hawks built an early lead. Melbourne will have to be much better when they host Cairns Taipans on Sunday. “We talked about it, we knew they would come out with energy and intent but we didn’t match it for the whole first half,” Vickerman said. “I liked the way we turned it around and played with some desperation in the second half and I still felt like we had enough decent looks to win the basketball game, but the damage was done. “[Andersen was] pretty good tonight, he made tough shots but there are some things that roll through that game. Casper Ware and Mitch McCarron led Melbourne with 18 points each but the visitors were hurt by foul trouble for DJ Kennedy. The star import put on 11 points in 18 minutes before fouling out. Melbourne’s bench only scored nine points and Vickerman went with his starters and key reserve Craig Moller for the final term. “I can’t quite understand DJ fouling out on a box out or a charge that was called from half way,” Vickerman said. With the Taipans marching into Melbourne desperate for a big road scalp, Vickerman said he hoped to have captain Chris Goulding return from a knee injury and would demand a more focused effort. He added Goulding had trained well and was a “very good chance” to play. “We are never happy losing a game regardless of our schedule,” Vickerman said. “We know this is our heaviest period of games during the year and we still have another four in this period. We still have to recuperate and be ready to go.